Buffalo horn buttons. 2 side pockets, 2 inside pockets with RiRi zip. Dark brown. Back length for size 50 = 76.5 cm. Soft and Precious. Icelandic Lambskin. This double breasted long jacket with a high buttoned collar is made in Hesse from Iceland lambskin shorn to 10 mm. It's cut from half a dozen flawless pieces of fur but since the markets in the Far East have become involved, finding such fur is becoming more and more difficult. 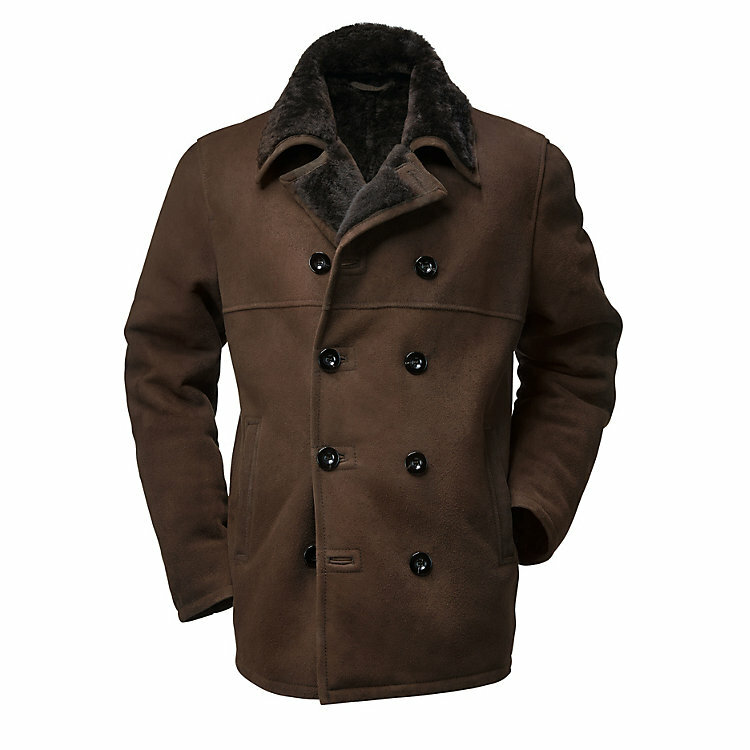 The jacket features a shoulder yoke and a central dividing seam in the back. On the inner side of the pocket pouches of the insertion pockets, you find inside pockets with vertical zips.